As a long-time fan of J.Crew, I have been disappointed in the last few years to notice a switch from more preppy clothing to more of-the-moment items. That's not to say I dislike more trendy items -- I love the beautiful statement necklaces I have from them. I want to love them, but I miss being able to find solid preppy basics I can rely on. However, one of the things I think they've been doing really well is their collaborations with dependable companies through J.Crew In Good Company. Through these collections, J.Crew is acting as an incredibly well-edited boutique shop, with the added benefit of making these items easily available online. I really enjoy the added shot of New England Preppy to their offerings through some of these collaborations. Barbour, Saint James, Stubbs & Wootton, Swans Island (I don't have one, but I keep hearing how wonderful these blankets are), and Sperry are currently the preppiest companies included in the line-up. Liberty has offered some fantastic items over the last few years, and I love everything Jennifer Behr does. I first learned of Jennifer Behr while bridal gown shopping at Bergdorf's. 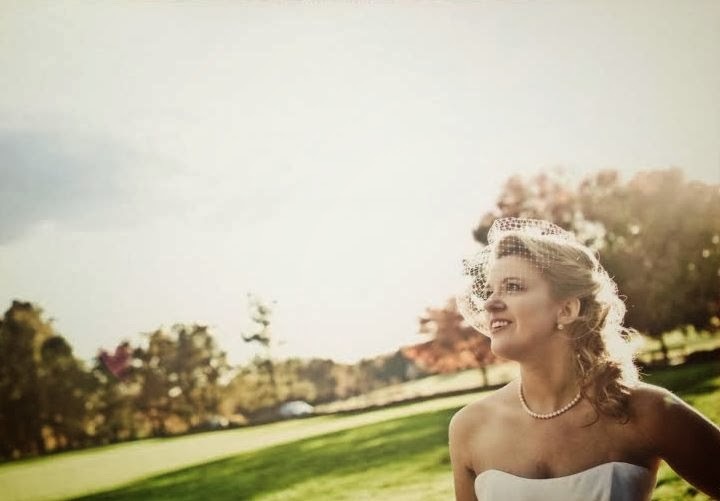 I very much wanted to wear a veil on our wedding day, but I did not want something extremely traditional or long, and the birdcage ended up being the perfect fit -- not only did it look right in our chapel setting, but it was easy to wear all evening long! Glamorous clothing and accessories sometimes feel a little over-the-top, and the worst of them look or feel like costumes. 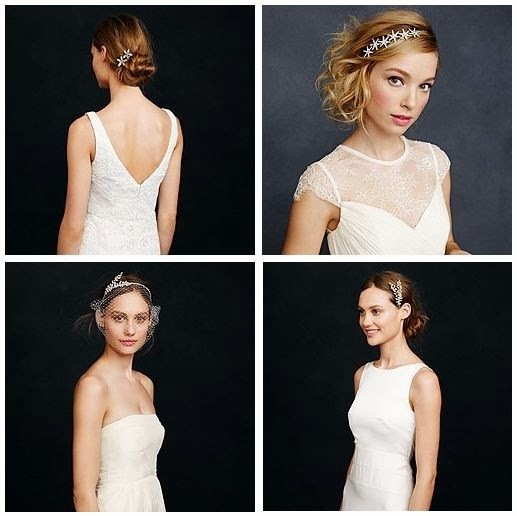 But even though birdcage veils may look glamorous and dramatic, they are actually very easy to wear. They almost feel like a fancy headband -- and once one is pinned into place, it's easy to forget it's there at all. So if you're considering a birdcage veil for a wedding, give it a try! You might be surprised at how of-the-moment and classic it feels all at the same time.